More Helmet News: Oversized Helmet? Thomas said he passed the NFL-mandated cognitive tests Monday, and will now practice and play with an oversized helmet designed to minimize trauma to the brain. 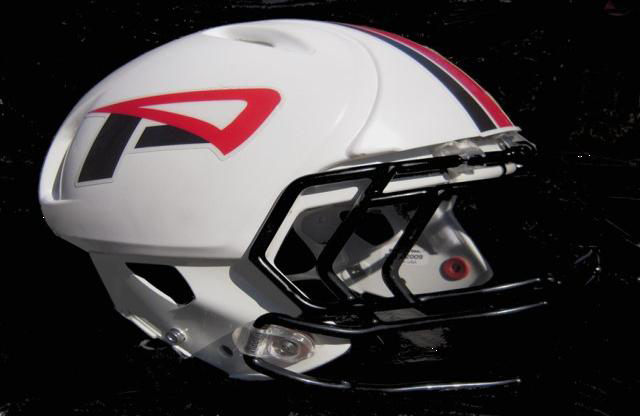 I immediately thought to some of the many emails I receive regarding concussions, it was from ProCap; the soft shield placed on the outside of the helmet to reduce linear forces. It has been re-branded and changed a bit to conform to the newer helmets (as you can see in the picture above). This is no different from the CRT Technology that was in the previous Harrison post; it possibly will reduce the linear forces, but again how does it affect the acceleration/deceleration/rotation of the head which in turn effectively “moves/sloshes” the brain around inside the skull. Without seeing what Thomas will be wearing this is our best guess, we will be interested to see any photos of what he is donning.